At Canada Paving Ltd., our mission is to keep Canada Paving Ltd. a local, family-run business while providing the Sudbury area with excellent work at fair prices. We often surpass the competition, not just in experience, but also in the value and quality workmanship that you can expect to receive each time you call us to complete a project.  For nearly 40 years, we have been providing the highest quality paving services, completing everything from sidewalks to large-scale commercial projects. Canada Paving Ltd. serves residential and commercial customers in Sudbury, Chelmsford and all of the surrounding areas. For a free estimate on our services, please feel free to give us a call at any time.